Set only a stone’s throw away from the medieval town of Rhodes island in Greece, the Atrium Platinum hotel offers a fine selection of top quality accommodation for all types of travellers. This exquisite sea view hotel in Ixia Bay, ensures a holiday beyond comparison in its remarkable range of spacious luxury suites in Rhodes and an experience to treasure for life. 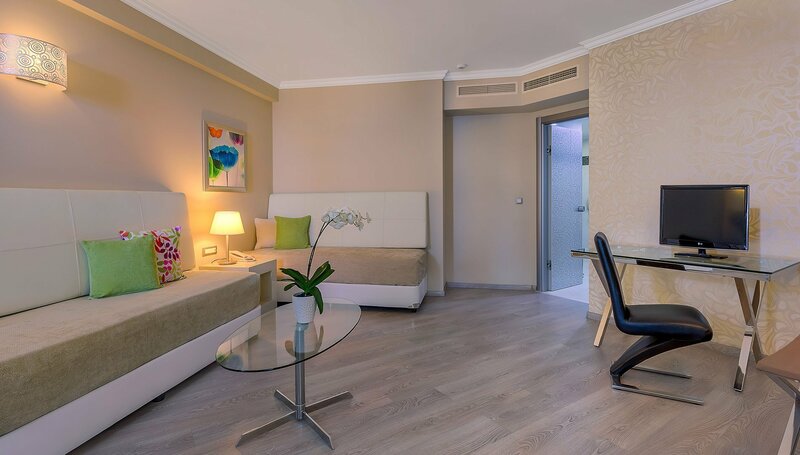 Whether seeking for a luxury suite to enjoy with your friends or an enchanting Rhodes family suite to spend your family vacation, the Atrium Platinum hotel is the best choice for you. 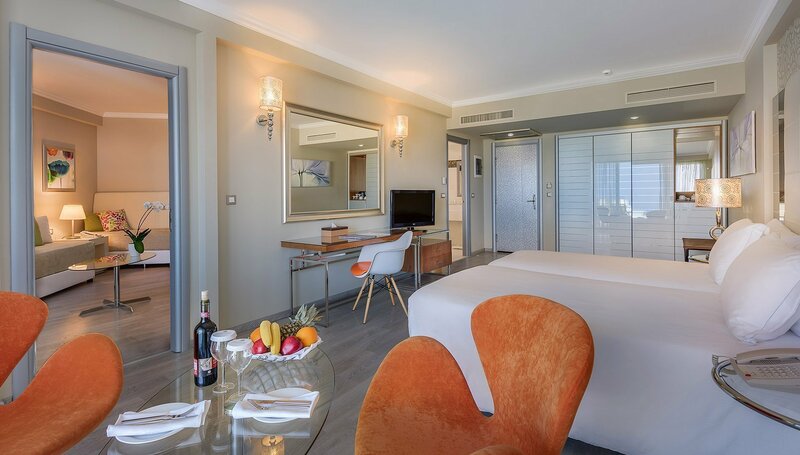 Travelers seeking for the best family luxury suites in Rhodes are welcome to arrange their stay at one of our top family suites combining the cosmopolitan flair of a city hotel with the blissful ambiance of a seafront room in Rhodes and surrender to the lap of luxury and indulgence. To further enhance the quality of their stay, the Atrium Platinum hotel allows guests to enjoy a delectable buffet breakfast in view on the dazzling sea.